Early cancer diagnosis and more effective therapeutic interventions have led to an increase in cancer survivors. These patients may live years or decades beyond their initial diagnosis of cancer with potential adverse effects from their cancer and from their treatment. In particular, cardiovascular complications from cancer treatment can have a profound effect on the health and daily life of patients with cancer. While cardiovascular complications are most common in patients with recognized cardiovascular disease, there can be devastating complications in patients with unrecognized cardiovascular disease or in patients without cardiovascular disease. Here at Advocate Good Shepherd Hospital, we are very happy to be part of the national trend that embraces the new and exciting field of cardio-oncology. We are among the few hospitals in the area to develop a cardio-oncology partnership and program that focuses on risk assessment and prevention of cardiovascular complications before cancer treatment. 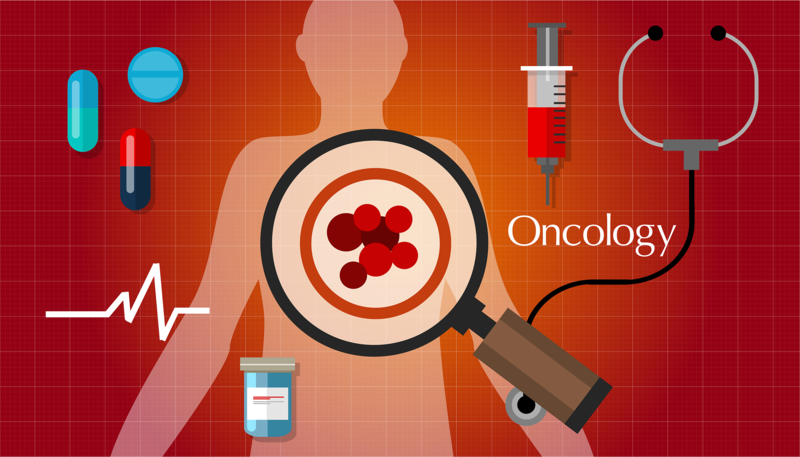 With risk assessments established, we can focus on cardiovascular surveillance and therapy during cancer treatment, as well as cardiovascular monitoring and management after the cancer treatment. The International Cardio-Oncology Society was created in 2009 with the goal of enhancing the understanding and management of the side effects and complications of oncology treatment on patients with known or undiagnosed cardiovascular disease, and those without any cardiovascular disease. We are happy to begin a Cardio-Oncology partnership program at Good Shepherd Hospital under the leadership of Dr. Irina Staicu. Dr. Staicu, who already has multidisciplinary expertise in Cardiology, Nuclear Medicine, Vascular Medicine and Phlebology, will bring her experience to the Cardio-Oncology program. Cardio-Oncology requires a cardiologist and oncologist to work as a team with continuous feedback between team members after each treatment. This interdisciplinary approach addresses the oncology and cardiovascular needs of the patient population to: prevent negative treatment interaction, increase quality of care, and allow for early detection of cardiac abnormalities while they are in a reversible phase. This will decrease long-term incidence of cardiovascular events related to cancer treatment. Those patients treated for cancer with preexisting cardiovascular conditions are at much higher risk of developing further toxicity and adverse cardiac events as a result of their cancer therapy. Radiation therapy mostly, but also many chemotherapy treatments, will not cause adverse cardiac events immediately. Rather, they increase the risk of coronary artery disease over the next 10-15 years. In other words, patients treated with radiation therapy and chemotherapy would meet a cardiovascular risk assessment and likely need cardiovascular surveillance for the rest of their lives. I would like to emphasize that we do have screening tools that focus on early cardiac abnormalities. These tools can detect a reversible state of cardiovascular disease that allows for early treatment with much better results. The impact of cancer therapy on the cardiac and cardiovascular system also varies by treatment type. Radiation therapy does not immediately increase the risk of coronary artery disease, but that risk grows over the next 10, 15, and 20 years following treatment. Additionally, radiation therapy may increase fibrosis and fibrotic changes of the valves and myocardium and pericardium. Chemotherapy is well known to trigger cardiotoxicity by interfering with the myocyte, as well as heart failure, arrhythmia, or pericarditis. The appearance of cardiac toxicity can sometimes be asymptomatic. For this reason we need to develop screening tools to assess and diagnose a heart failure disease both before it becomes symptomatic and before it becomes irreversible. Early identification of patients at risk for cardiotoxicity is a key and should be done before starting any cancer therapy. On the other hand, the presence of underlying cardiovascular disease should not delay oncology treatment. We are confident that at Advocate Good Shepherd Hospital we will bring an excellent team approach to further extend our cardio-oncology partnership and program.